Last year, I started eating a no sugar, no grains (NSNG) diet inspired by the book Fitness Confidential. I am also an ultra runner and wanted to get fat adapated for running. As a result, I make quite a few Ketogenic and Paleo food items, even though I am not specifically trying to be in ketosis. If you are not familiar with a Keto diet, it is a low carb, high fat diet that can do wonders for weight loss and maintaining low blood sugar levels, so it is often promoted as a solution for diabetics and those with prediabetes. If you see ads for nutritional diabetes programs, they most likely will be a Keto-type of diet. 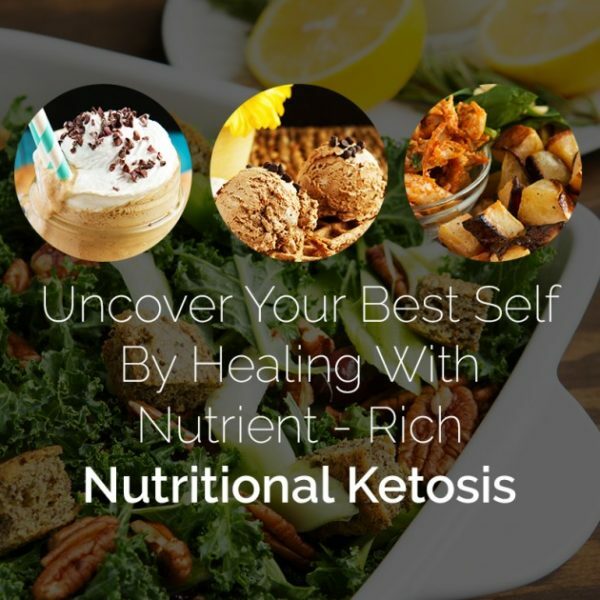 Ketosis is a metabolic state that comes about from eating a low carb, high fat diet and tends to have the benefits of lowering blood sugar levels and boosting how the body metabolizes fat, so it is great for weight loss. People aiming for true ketosis normally eat a very low carb diet and then eat a good amount of healthy fats, such as from avocado and coconut oil. Moderate protein is mixed in. Even though I have not been eating true keto, I often still am in ketosis. When I started eating NSNG, I immediately lost about 10 pounds and, after a short adjustment, my running has been better than ever. Another benefit is that I don’t count calories and I am never hungry since a high fat diet keeps you quite full. Going NSNG is easy, simply don’t eat anything with added sugar and don’t eat grains. Try to include a good amount of healthy fat in your diet. To go Keto, you probably should follow a good starter program since it is a bit more complicated and important to get the right proportion of fat to protein. Don’t be afraid of fat! But keep in mind that a high fat diet that is also high in carbs won’t do you any good. Getting the fat, protein, and carb ratios right is important. So, before I jump into info on making Keto smoothies, here are some good Keto resources for anyone wanting a formal Keto diet program or affordable Keto information and support. Healthful Pursuit Keto Beginning is simply awesome. 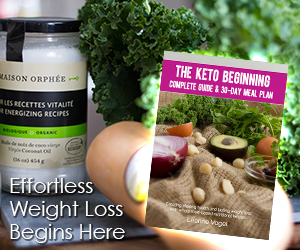 This is a great getting started program for a Keto diet from LeAnne, a nutrition blogger and Keto expert. It has a full beginner’s guide and 30-day meal plan, which makes getting started easy. The ebook has 17 chapters, 147 pages, and over 70 low-carb, high-fat, moderate-protein recipes. It includes dairy-free, gluten-free, sugar-free, grain-free, and legume-free recipes. You also get invited to an exclusive Keto Beginning Facebook group for direct support, resources, and inspiration from the creator and over 2,200 members. At $25, it is a fabulous deal. This program is my favorite Keto resource. The Healthful Pursuit blog and videos are great too! 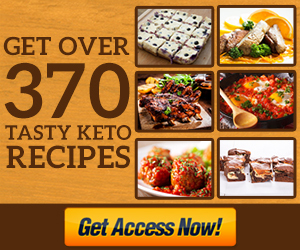 The Ketosis Cookbook ebook is a great resource for additional recipes. This is a multiple cookbook bundle that has over 370 easy-to-prepare Keto Recipes, Keto Nutritional Information and a 12 week meal plan. For $47 (but note that there is a $10 off coupon so really $37) you get the cookbook plus four bonus books: The 12 week meal plan, Ultimate Guide to the Ketogenic Diet, Keto Slow Cook Meals, and Keto Desserts. I like this set for the sheer number of additional recipes. Pinterest: Search for Keto recipes on Pinterest and you find all sorts of great stuff. You can also follow my NSNG and Paleo board on Pinterest. A lot of the recipes I add are also Keto. 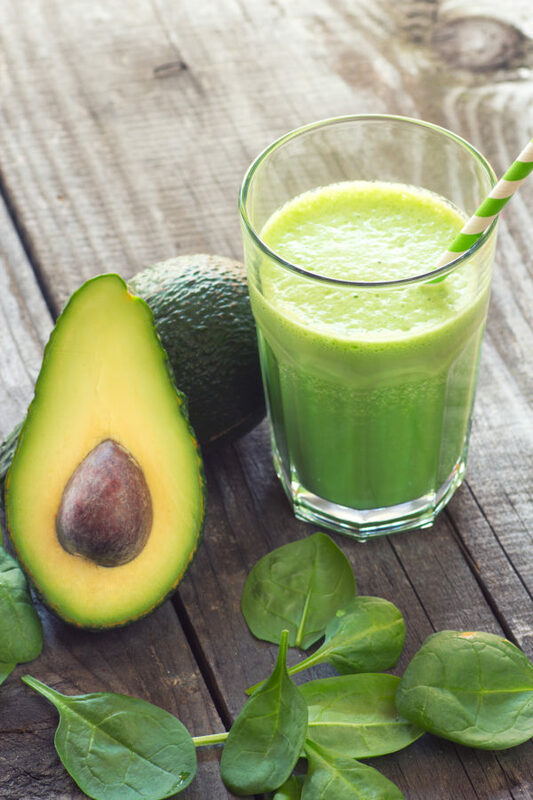 Healthy Fats: Make the base of your keto smoothie from fats. A huge favorite is avocado. One cup of sliced avocado has 12 grams of carbs. That is a lot of avocado and you don’t need that much for a smoothie. Half a cup will often do. 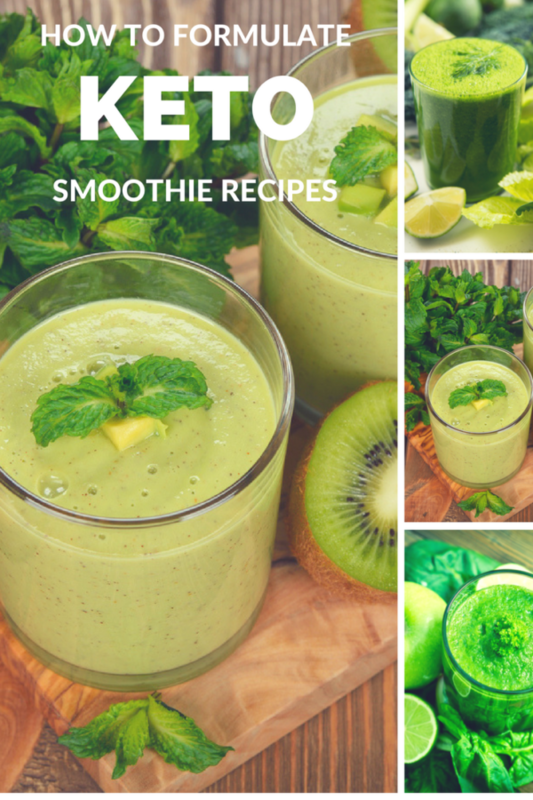 Avocado also makes smoothies nice and creamy in texture. Another favorite is coconut oil, which has zero carbs. To keep coconut oil from clumping in your smoothie, melt it (but don’t get it too hot) and drizzle it in while blending. 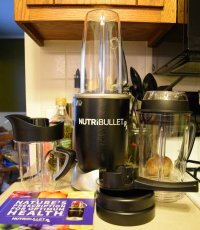 With the Nutribullet, I simply melt it and stir it in after I blend. A decent alternative is to use MCT oil. Note! Coconut oil and MCT oil can create some digestive issues if you are not used to them, so go easy when first using them! You can use full fat dairy items as well, but note that, outside of using heavy cream, you will be adding carbs when you use dairy. I often mix heavy cream with water for smoothies. Things like almond milk can be good as well, but only if you make it yourself or find a sugar-free version. The stuff you buy at the store is usually packed with sugar. Here is how to make your own (use artificial sweetener for low carb). Coconut milk is another favorite, but be sure to get a sugar free version. Look for the canned version instead of the drink versions, as the drinks tend to add sugar. Tip: grocery stores often keep it with the Asian foods. Vegetables: Vegetables tend to be lower carb than fruit, but they do still have carbs. For example, a cup of Kale has 6 grams of carbs. Avoid starchy vegetables. This means no carrots, peas, legumes (beans), potatoes, or sweet potato. Go for the leafy greens instead, such as kale, spinach and collard greens. 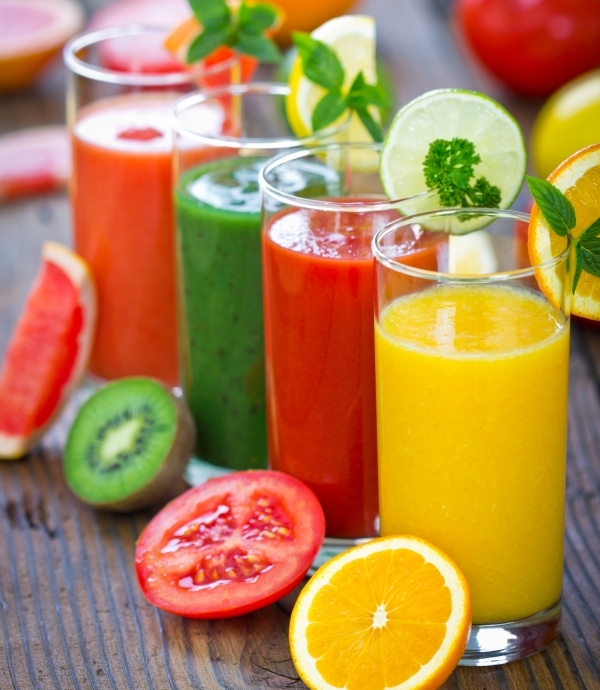 Fruit: Fruit is such a common smoothie ingredient because it adds natural sweetness and cuts the bitterness of vegetables. But it also quickly adds carbs to the drink. The key here is to use low glycemic load fruit. These will be less likely to cause an insulin response and tend to be lower in carbs. You might find too that you simply can’t have a lot of fruit and still lose weight or maintain low blood sugar. Personally, I am able to do fine eating most fruit, but some people get stuck when they eat much of it. Do remember that fruit is not evil though. A higher glycemic load or index does not make fruit terrible. If you are going to have some carbs, fruit is a good source, as fruits contain vital nutrients, antioxidants, and vitamins. Their sugar content comes with plenty of fiber so fruit less likely to spike your blood sugar. From this, aim for the lower end of the scale for your fruits. So, a Keto smoothie might look like this: 1/2 cup of avocado, spinach, kale, strawberry, and lime, with water to the fill line (or enough to blend). Add ice for a colder smoothie. For a higher fat version add coconut oil or MCT oil. Or give this one a try. It is formulated with artificial sweetener and vanilla to add flavor and is full of healthy fat. 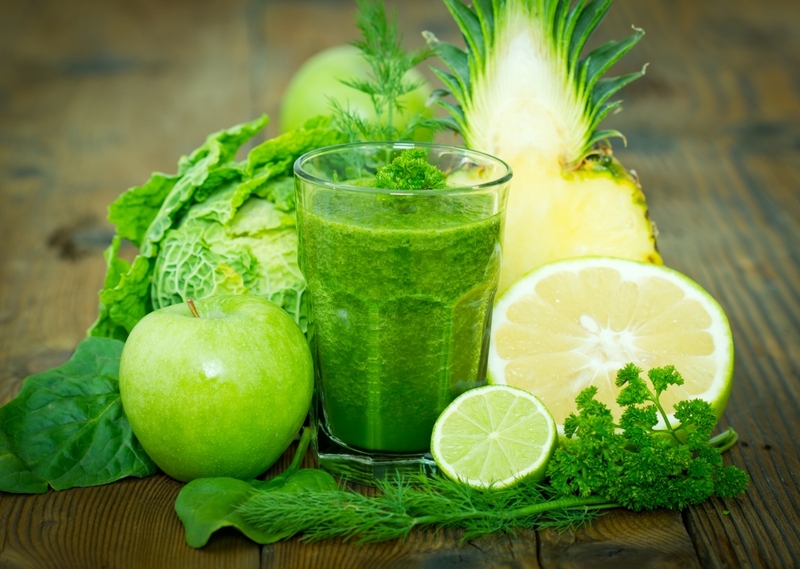 Place remaining ingredients in blender or Nutribullet and Blend. I plan to formulate some more Keto smoothie recipes soon, so stay tuned! Meanwhile get creative and see what you come up with! You can use this nutrition calculator to find out the carbohydrate amounts in various ingredients. Free Keto Diet Planner Printables! Over on my food and ultrarunning blog, Snack Rules, I have some free keto diet planner pages. Head over there to grab those if you like planning things!